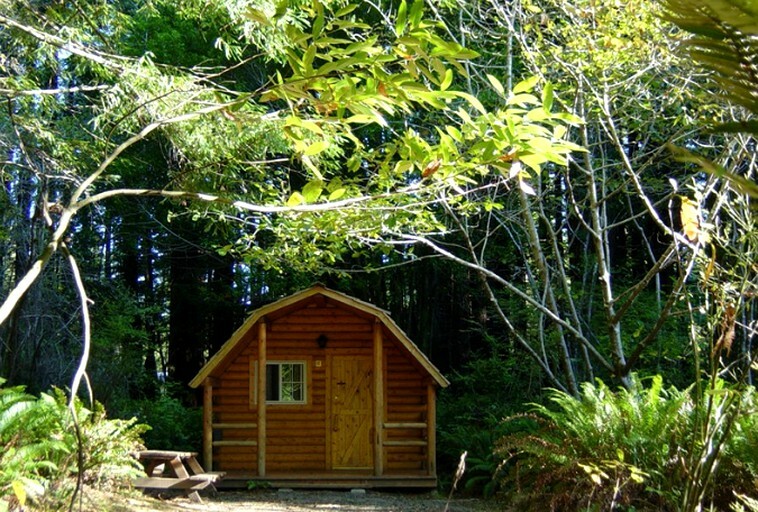 These pet-friendly cabins are tucked away in the redwoods of Crescent City, California. Guests will have access to a patio, a swing, a picnic table, and a fire pit during their stay. Linens are available for an additional charge upon request. These cabins are equipped with electricity and space heaters. There are many shared amenities on site for glampers such as full hook-up, pull-thru sites with 50/30 amp service, cable TV, and free Wi-Fi. There is also a gift shop to enjoy, along with firewood available to buy for campfires and pancake breakfasts from Memorial Day through to Labor Day. There is a laundry service for guests to use. When glampers get to the campsite, they can inquire about tour packets for day trips to all attractions. 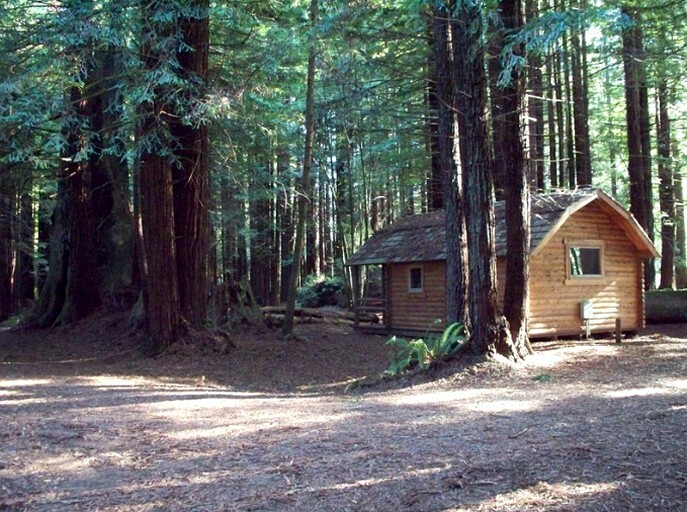 There are many natural wonders near the camping cabins, and they are only two miles away from Redwood National Park, along with Smith River, which is one of the largest wild and scenic rivers in America. Ocean World, Tolowa Dunes State Park, and Lake Earl Wildlife Area are only five miles away. There are many activities to enjoy in and around Redwoods National Park, and there is a large array of hiking and mountain biking trails. The Marine Mammal Center is close by, meaning guests can see beautiful wildlife during a self-guided tour, or glampers can enjoy swimming just a short drive away. 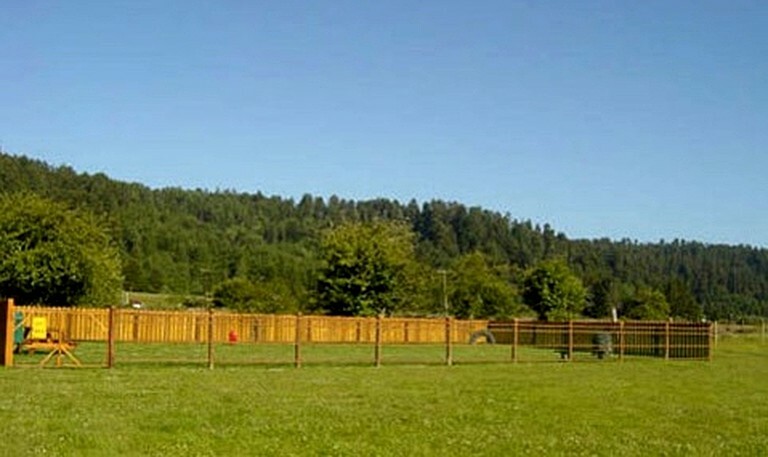 The campsite provides bike rentals for everyone to enjoy the nearby biking trails, or guests can walk along the stunning coastline and enjoy the miles of beaches by foot or on horseback. There is something for the children on the campsite as there is a playground where kids can play tetherball, volleyball, and horseshoes. Pets are welcome at the campground, but if guests do bring them, they are asked to make the host aware upon booking.